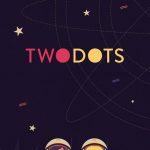 Those two “brave” dots of the TwoDots fame, as we’ve seen, have been taking on more and more adventures with the degree of difficulty gradually increasing. If you’ve reached Level 36 to 40 by now, you’re probably wishing you were back in the first five levels, where you didn’t have to worry about anchors or oddly-shaped boards. At level 36 there won’t be any anchors or weird triangle blockers to concern yourself with, but this will be the first level where you’ll have to break ice blocks. 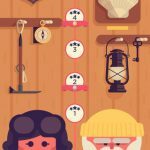 So let’s move on to our tips and tricks for TwoDots levels 36-40. In here, you don’t have to collect a certain color and a certain number of dots, so this level basically serves as a primer to ice blocks. Then again, you have to create three separate matches within the ice blocks in order to break them, so you will still have to be wary about colors. But if you get multiple dots of the same color within one ice block, then lucky you – indeed, luck plays a big part in this particular level. Squares, your old trusty friend from all those previous levels, can be very effective when it comes to breaking ice blocks and creating matches. Bombs work too, as long as you have the chance. Yes, this sounds like quite the task, but thanks to the compact, rectangular board, this shouldn’t be that hard…when compared to other ice block-breaking levels. Vertical alignment when making matches should do the trick, but once again, it will all depend on the dots that appear once you’ve made a match and cleared the old dots out. Okay, here’s where the blockers and unorthodox board configurations come in. You’ll also notice that the six blocks can be found in two columns on the bottom of the board. That’s tricky, but since the top of the board is open, that’s where you’ll want to focus on creating matches, preferably squares. Starting with the ice blocks, make your squares on the sides in order to clear the three blocks on that part of the board. 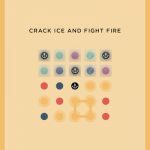 The other ice blocks, which are located in the center, shouldn’t be much of a problem, but regardless of which ice blocks you’re trying to break, you should be squarely focused on squares, pun intended – after all, this is the first level where you’ll be dealing with both ice blocks and clearing dots. This level features three rectangular blockers separating the board into three separate sections, with the ice blocks in the middle of the board. As you may have guessed, squares will be your main focus here, preferably at the bottom part of the board. Be aware of the dots that fall once you create a match, so you can plan ahead and have a better chance of clearing more blocks in less moves. Also don’t hesitate to make matches in the ice if you see them – as a reminder, it takes three matches in order to break an ice block.